Does A2X actually import the individual orders? Or does it only do the summaries? 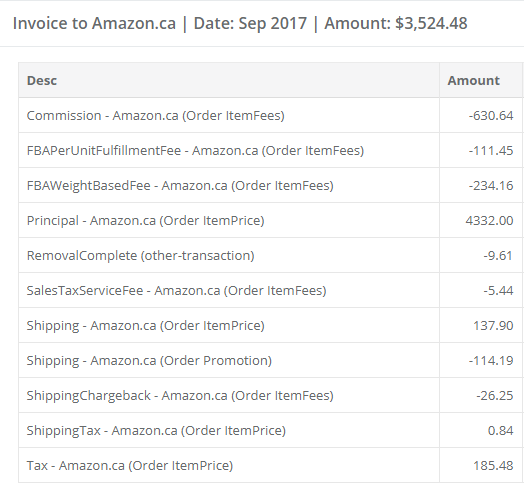 When A2X pulls information from Amazon, you will see a Settlement containing a consolidation of sales and fees for a given settlement period, as in the screenshot below. You won't see individual orders in these consolidation summaries. The intention of an A2X import into your accounting software is to give you the basic information you need in a format that is easy to find, read, and understand. (It purposefully keeps the management of individual orders inside Amazon Sellers). Amazon Deposits usually arrive a few days after the close of the Settlement. A2X makes it easier to account for and reconcile the imported Settlement. Summaries are only available in Amazon Seller Central. They look a little like A2X settlements in that they are consolidations. However, they cover a whole month and they don't reconcile with Amazon deposits.